Crystal Lynn Swain, 61 of Mancelona died peacefully Wednesday, November 28, 2018 at home surrounded by her loving family. She was born June 19, 1957 in Port Huron, MI. Crystal was a woman of very deep faith and a member of the New Hope Church. She taught Jr. Church and Sunday school for many years. Crystal loved animals and was involved in the Antrim County Fair as board president and a leader of the 4-H. When Crystal wasn’t with her animals she was spending her free time with her beloved grandchildren who all adored her. She was a kind, giving person who was a friend to all she met. On March 13, 1999 she married James R Swain who survives. Also surviving are her parents Bruce and Helen (Smith) Brown, her children Jenifer Salter of Pontiac, Bridget (Robert) Bowker of Mancelona, Brian (Barbie) Swain of Holland, Carol (Richard) Land of Mancelona, Sarah Swain of Mancelona, siblings Richard (Deanna) Brown, Nathan (Kathy) Brown, Carolyn (Kim) Bacon, Sandy (Pat) Sivyer, Tammy (Larry) Hartt, sister in law Tammy Brown, and her 7 grandchildren Adriana, Austin, Wyatt, Jade, Richard Jr., James, and Weston. She was preceded in death by her son Christopher, her brother Douglas, her son in law Jon Salter, and her birth father Richard L. McCue. Funeral services will be held Monday, December 3, at 1 p.m. at the Mancelona Free Methodist Church with visitation starting at 12 Noon. Pastor Bob Felton will officiate. Visitation will also be held Sunday, December 2 from 3 to 6 p.m. at the Mancelona Chapel of Mortensen Funeral Homes. Memorial donations can be made to the family. Arrangements have been handled by the Mancelona Chapel of Mortensen Funeral Homes. 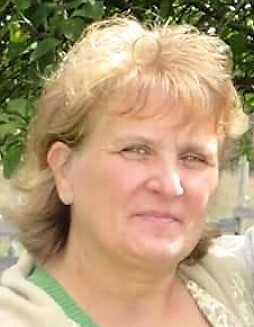 Please sign her online guestbook www.mortensenfuneralhomes.com.